Visit Indoor Gardens, Ohio’s Premier Hydroponic Superstore! Indoor Gardens is THE largest grow shop in Ohio and has the LOWEST prices in the state! 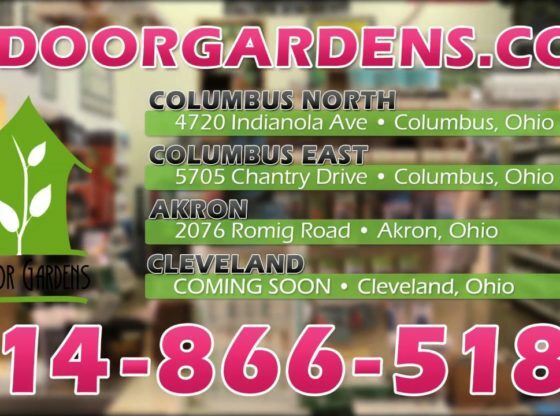 Indoor Gardens has two locations in Columbus, one in Akron, and we’re opening in Cleveland this summer! Come enjoy the largest inventory of hydroponic supplies, organic soils and nutrients, grow lights, and much more! With over 25 years of business, Indoor Gardens has the experience, knowledge, and industry connections to help you grow big gardens indoors! Follow us on Social Media to stay up to date with SALES and EVENTS! Go to www.IndoorGardens.com/locations to find the store near you.